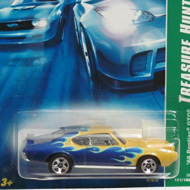 2/12 from the 2007 Treasure Hunt series. 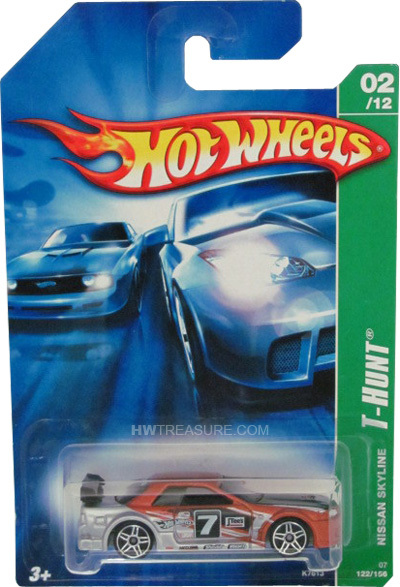 The Nissan features orange and silver metalflake paint, a black hood and spoiler, and sides with the Hot Wheels logo, “7”, and several other logos. 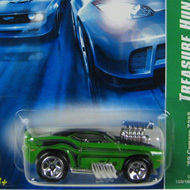 It has tinted windows, black interior, PR5 wheels, and a grey plastic Malaysia base.